Social media marketing is a complex discipline that requires daily effort from your end. However, some parts of social media marketing can be automated in order to save you time and supplement your strategy. The process of automation on social media refers to scheduling posts in order to be published in a certain moment in the future. This type of action helps you be active and keep your social account updated regularly. Some social networks allow scheduling options on the platform itself, such as Facebook. 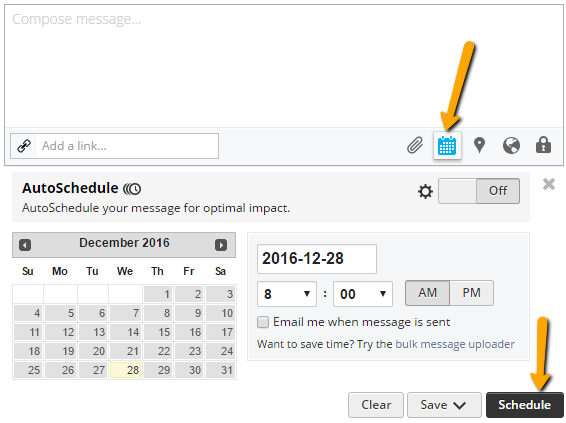 On the other hand, if there is no option to schedule a post this way, you can use different online scheduling tools, such as HootSuite. This tool for example helps you integrate several social media accounts, and manage posting activity from the dashboard. You can choose the exact date and time when to schedule a certain post, and you can even schedule simultaneously on several social networks at once. There are other automation tools with similar functions and the greatest importance of these tools is that they allow managing of multiple social media accounts from one place, which is especially useful when you have a lot of social media accounts to manage. Besides tools for managing and scheduling, there are automation tools that can completely take care of posting for you. In this case, you should link your blog feed for example and the tool will automatically post when it detects that new content has been published on your blog. The major benefit of social media automation is the possibility to save time and optimize the time you are going to invest in social media activity. This is especially important in cases you have limited amount of time available for this task. There is no doubt that social media presence is important, but sometimes it will be difficult to prioritize this task. So, having automation tools can help with maintaining your social activity on a certain level, while you are focused on other tasks. Besides saving time, another benefit of social media automation is the possibility to keep your accounts active even when you are away from the office, for example during the weekend. Some studies confirm that the greatest number of users log in during the weekend, which increases engagement opportunities and chances to convert the users. Consequently, you should make sure that you publish content on social media at weekends. Scheduling posts to be published during the weekend can really help being active on weekends, as well as enjoying in your days off work. Trying to reach audience from different geographical regions may be a part of your business and it might be difficult for you to optimize the posting activity in this case. For example, it might be night at your place of residence, while it is morning for your target audience. In this case, automation can help you reach your audience in the right time, regardless the time of the day in your country. 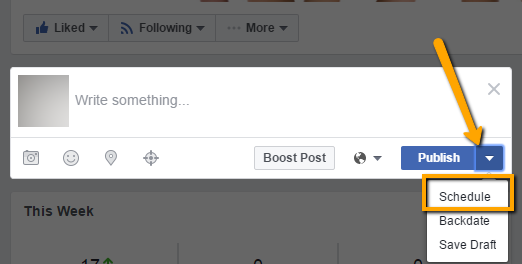 When using automation on social media you have to be careful not to overuse this method. High level of automation will cause your account to look a bit spammy and artificial. Users expect to see real people behind the social media account, someone they can contact, someone they can trust. If you use too much of automation, users might find it difficult to establish the connection, which will result in low level of engagement. Furthermore, using automation prevents you from being current and keeping up with events. Regardless if we talk about a global event or situation you should comment on or if we talk about down time of your website, you will fail at reaching users at the right time if you completely rely on automation. Although automation should be an inseparable part of social media marketing and as such, it is a very helpful approach, but in the same time you have to be very careful when using it. You want to make the most out of automation, to use it to supplement your social media marketing, without the risk of being considered as spam. Interaction is an inseparable part of social media, which is why automation is only recommended to a certain extent.